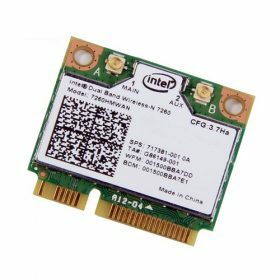 Download Intel Wireless-N 7260, Wireless-AC 7260 Windows 7, Windows 8, Windows 8.1, Windows 10 Drivers and Software. Includes driver and application Intel PROSet/Wireless Software 18.16.1 to support Bluetooth Adapters. Includes driver and application Intel PROSet/Wireless Software 18.16.1 to support Intel Bluetooth Adapters. Release 18.40.0 includes download options for driver-only and driver-with Intel PROSet/Wireless WiFi Software. Intel PROSet/Wireless Software and Drivers for Windows 8.1. Release 18.40.0 includes download options for both driver-only and driver-with Intel PROSet/Wireless WiFi Software. Includes driver and application software to support Intel Bluetooth adapters. Release 17.16.0 includes download options for both driver-only and driver-with Intel PROSet/Wireless WiFi Software. This download installs Intel PROSet/Wireless Software version 18.33.0 for Windows 10, including both driver-only and driver with Intel PROSet/Wireless Software options. This download installs version 18.33.0 of the Intel PROSet/Wireless software and drivers for Windows7, 32 and 64-bit. This download installs version 18.33.0 of the Intel PROSet/Wireless Software and drivers for Windows 8.1.